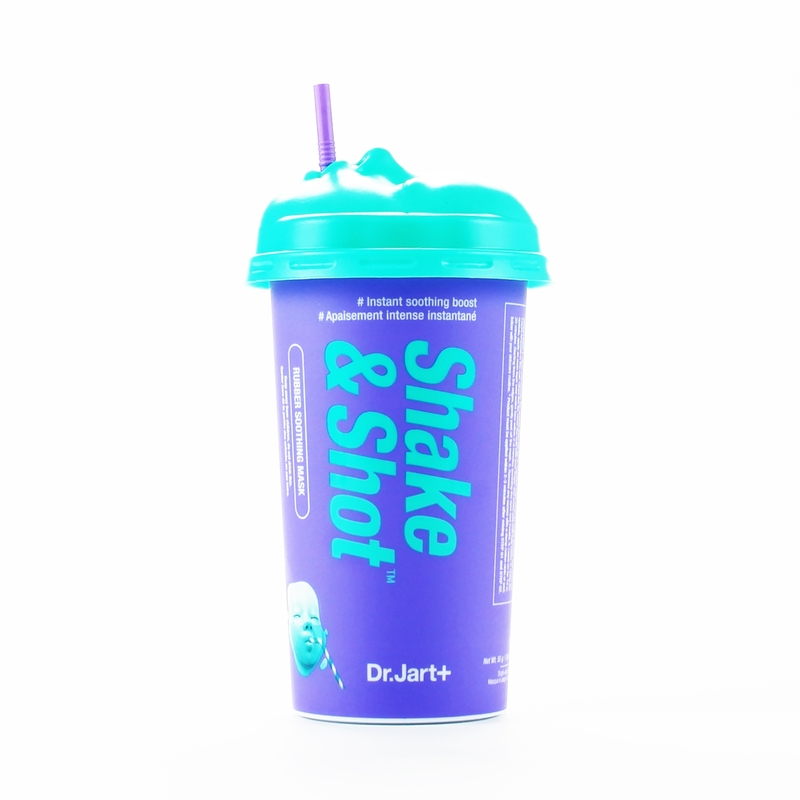 Dr. Jart+ Shake & Shot rubber masks use the same technique found in high-end Korean spas. The cream-to-sheet deeply penetrates the skin, infusing it with active ingredients to combat the usual issues - hydrate, brighten, firm and sooth. 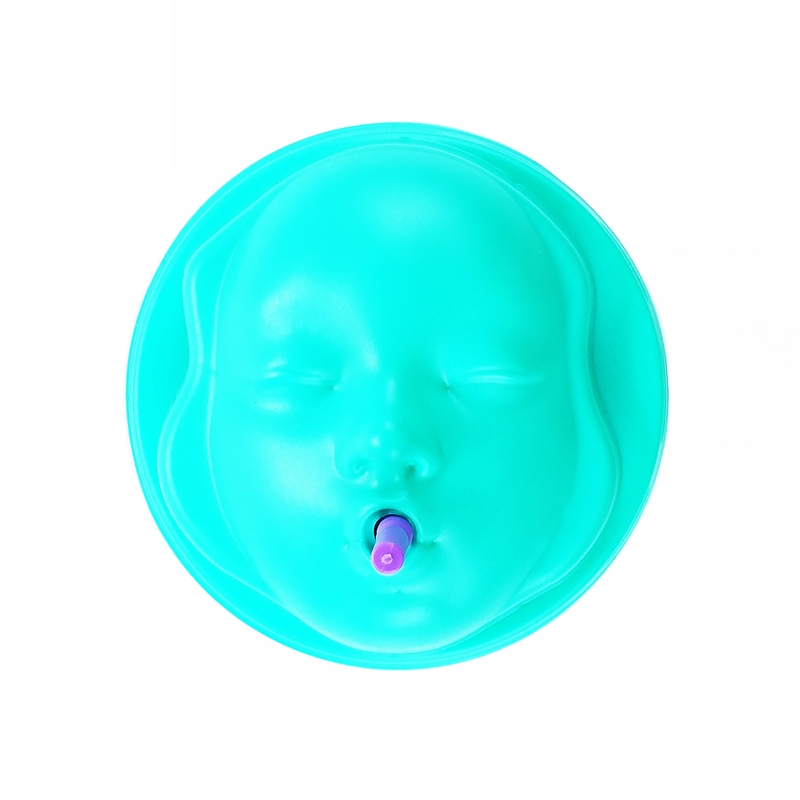 Each mask is comes in a small, colorful cup, with a plastic, moulded face lid. The packaging is genius, super fun and appealing. 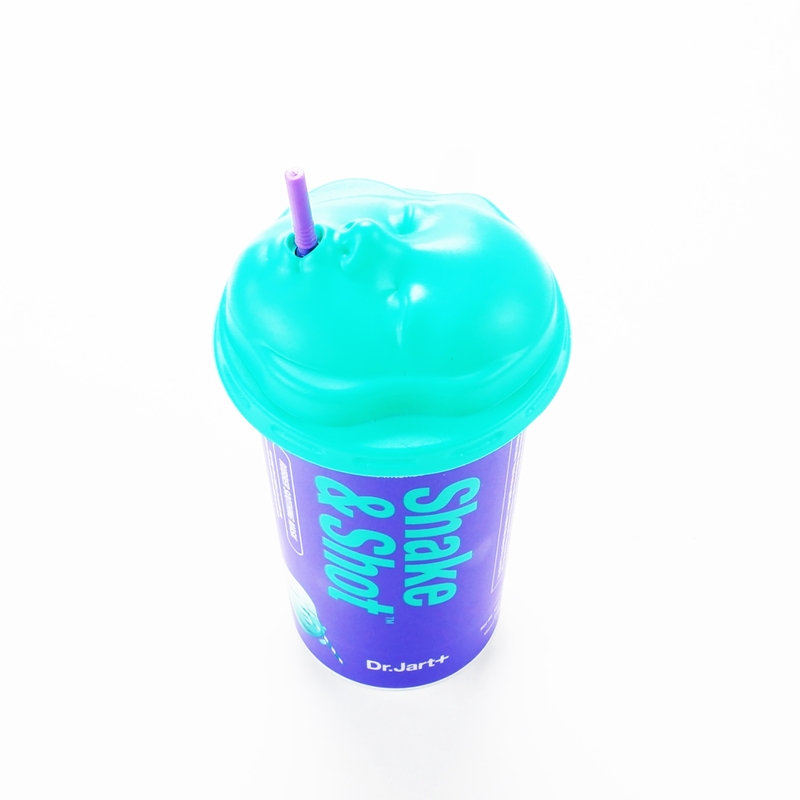 I purchased the Dr. Jart+ Shake & Shot Rubber Soothing Mask purely due to the color scheme of the packaging. AND am so glad I did, cause I've been battling a cold and sore throat this last week and my face says it all - I need a little soothing. My rosacea is on fire these days and the skin on and around my nose is super dry and irritated. I need a facial miracle! The The 'Shake it Up! Give Skin a Shot!' steps are easy - Use the spatula to mix the Super Booster and Soothing Liquid Ampoule in the cup. Close the lid, cover the hole with your finger and shake it up. Within 2-3 minutes, use the spatula to apply an even layer of the product all over your face (avoid eyes and mouth). Leave for 15-20 minutes. Start at the edges of the rubber mask and gently peel it off. Use a damp cloth to remove any residue. The process is easy and kinda fun! You only have to give the cup a quick shake and you'll feel the product getting thick. The final result is a heavy paste. Applying an even layer with the spatula was difficult, so I suggest spreading the product with your fingers. There is a lot of solution - two people could share one cup of rubber mask. The solution has a barely there cream-like scent (I like that). It does feel little cool on the face, but my air conditioning is cranked, so.. Removing the mask was interesting. The product morphed into rubber and peeled off easily. There was a little residue, but I was able to remove it with a damp cotton pad. Being that this is a Rubber 'Soothing' Mask, I was surprised to see my face flare up. My forehead immediately turned red and I had red blotches everywhere else. My skin remained this way for hours. My skin felt a little dehydrated and the dry skin around my nose was intensified. I had high hopes for rubber masks, but this one fell short of my expectations. The process was fun and I can check rubber masks off my list, but I much prefer charcoal masks and an exfoliator. My go-to masks are the M.A.C Cosmetics Mineralize Volcanic Ash Exfoliator with the Mineralize Reset & Revive Charcoal Mask AND the Bobbi Brown Instant Detox Mask, followed by the Radiance Boost Mask (exfoliator). Search these products on b.a.gorgie to get a full review..